Size: 105 * 1.2 * 16mm,4"
- Price range: 10 Rs.-120 Rs. Our organization has successfully expanded its business in market owing to the offered elevated quality range of Metal Cutting Wheel. 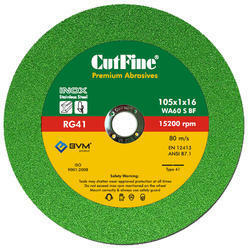 Owing to the wide experience in this domain, we are instrumental in offering 14 Inch Cutting Wheel to our clients. These products are used for cutting of hypodermic needles, watch parts, exhaust convertor tubing and other stainless steel or some non ferrous material. The line speed is up to 60m/s. the finished parts are precise and free of burrs. 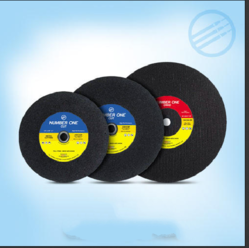 We have highly acknowledged organization engaged in presenting a remarkable range of Cutting Wheels. Used for cutting Iron Stainless Steel. Leveraging the skills of our qualified team of professionals, we are engaged in providing Metal Cutting Wheel.